Goodbye, Baxter Building! Marvel has unveiled a new variant cover for Fantastic Four #4 by artist Valerio Schiti, and on that cover is the debut of the new headquarters of Marvel’s first family. And what a quaint little headquarters it is, a charming brownstone located conveniently at #4 Yancy Street. Sure, it’s not as nice as their old headquarters, but do you know how expensive New York real estate has gotten since Reed and Sue went away? Okay, yeah, it was still expensive before. But still! 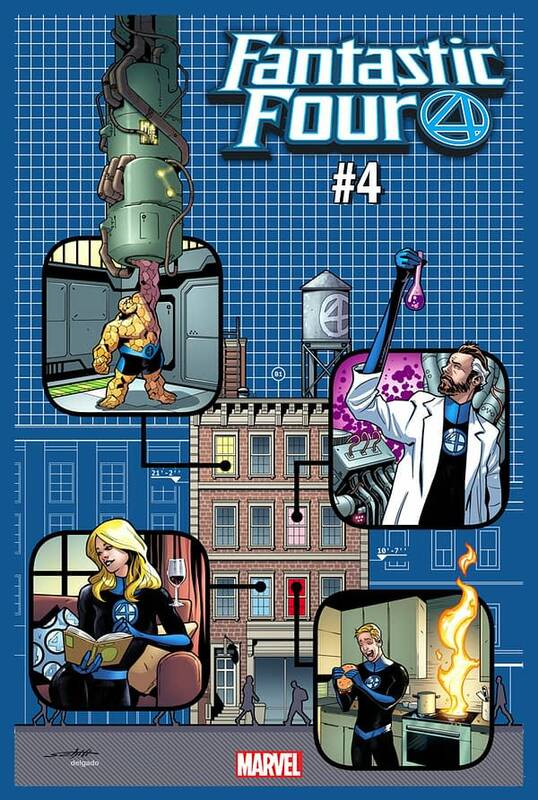 Check out the cover below for Fantastic Four #4, hitting stores on November 28th.